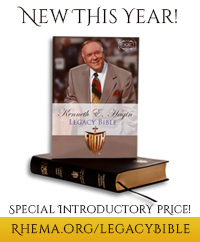 Kenneth E. Hagin was born with a deformed heart and an incurable blood disease. Those conditions left him paralyzed and bedridden at the age of 15. Everyone around him told him to prepare for death. But he got light on Mark 11:23–24, and that sparked faith for healing in his young heart. On August 8, 1934, God raised Kenneth off the sickbed—completely healed and whole! At that moment, God birthed something greater in Kenneth E. Hagin—a desire to see the lost saved and the sick made well. He began to preach and teach salvation and divine healing wherever he went. Though he didn't know it at the time, this was the beginning of what would become a worldwide ministry. It would be a ministry founded on prayer and the healing truths in God's Word. Over 40 years later, God began speaking to Kenneth about a change his ministry. And on October 1, 1979, prompted by the Lord, he started Prayer and Healing School. At the outset, Rev. 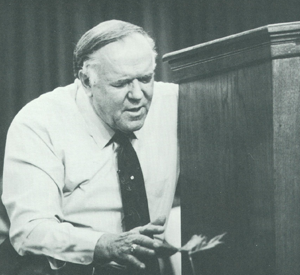 Hagin dealt with both prayer and healing in the same session. As time went on, however, he saw the need to separate the two so he could teach more on each subject. Today, as in the beginning, people who attend Prayer School and Healing School learn how to pray out God's plan for their own lives and for the nations. They learn how to receive and keep their healing. And they learn by both precept and example how to minister healing to others. 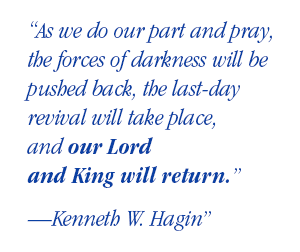 Kenneth E. Hagin went home to be with the Lord in 2003. But the anointing has only grown stronger on the Rhema campus and in Prayer School and Healing School. Rev. Hagin's son, Kenneth W. Hagin, and grandson, Craig W. Hagin, both minister with a strong healing anointing. And Lynette Hagin, wife of Kenneth W. Hagin, teaches on prayer around the world.